The European bison (Bison bonasus) is an emblematic species that disappeared from Romania about 200 years ago. 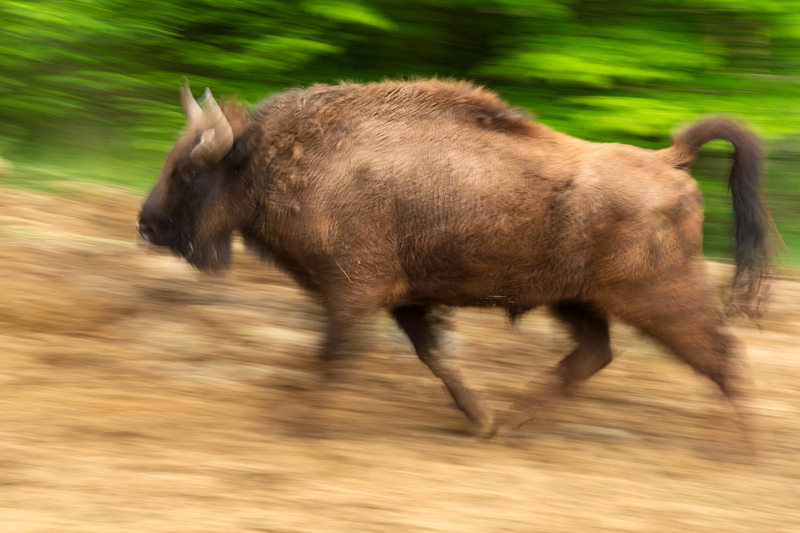 Since 2013, Rewilding Europe and WWF Romania are working together in the Southern Carpathians rewilding area to bring the European bison back into this wild part of the Carpathian Mountains and establish a free-roaming, viable population. The first two bison releases took place in 2014 and 2015. In June 2016, the third bison release took place, now part of the LIFE Bison project actions. During the next four years, annual releases of at least another 80 bison will take place in cooperation with the municipalities of Armeniș and Fenes. 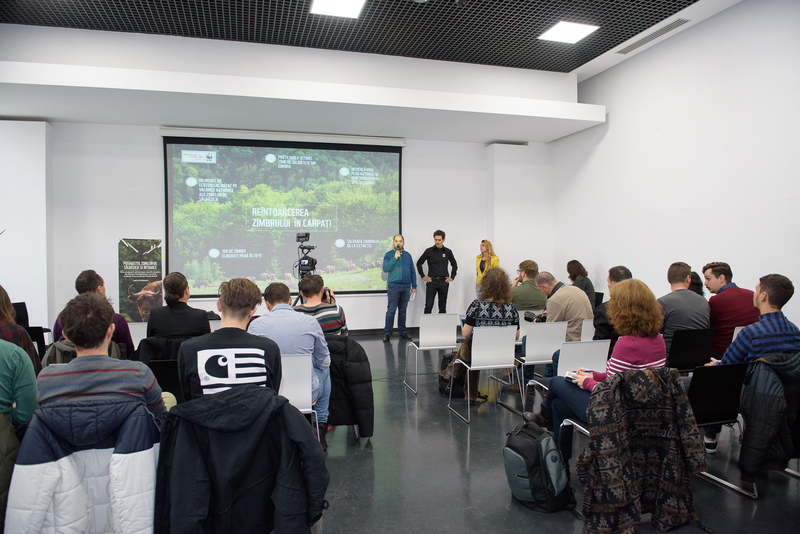 The LIFE Bison project, financed by the European Commission through LIFE Nature, kicked off this February, was now presented to the Romanian public and national media at the official opening ceremony held at the “Grigore Antipa” Natural History Museum in Bucharest. Opening ceremony of the LIFE Bison project in Bucharest, Romania. 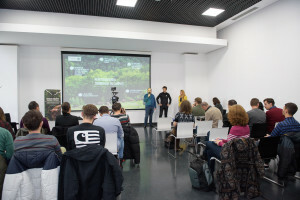 During the event, Rewilding Europe and WWF-Romania presented their joint efforts and results so far on bringing back the European bison to the Southern Carpathians. The ultimate goal is to create the conditions for a healthy wild bison population across most of the Romanian Carpathian range, in cooperation with the National working group for the reintroduction of bison in Romania. Currently, over 50 individuals are roaming in the wild in Romania, in two reintroduction sites that are some 500 km from each other: Tarçu Mountains in the Southern Carpathians and Vânători Neamț in the northern part of the Romanian Carpathians. The major objective of the LIFE project is to create a demographically and genetically viable population, with two sub-populations: one in the Tarçu Mountains and in the nearby Poiana Ruscă Mountains (where bison will be brought starting 2017). To achieve this, Rewilding Europe and WWF-Romania are committed to bring at least 100 individuals by 2020. Bison ranger marking the locations of bison habitats on the map of Romania placed on the “Extinct species” window. By bringing back the European bison, not only a substantial contribution is made towards the conservation of this species in Europe, as laid out in the IUCN Species Action Plan for the European bison. It is also part of a large rewilding initiative in Romania, where Rewilding Europe and WWF Romania work together to create one of the largest contiguous wild areas in Europe numbering some 3 million hectares. This would connect various protected areas, core wilderness areas and rewilding zones across the larger, southwestern Carpathians mountain range. This area includes six different Natura 2000 sites and it is here where the European bison will be able to play its important ecological role in its natural habitats. 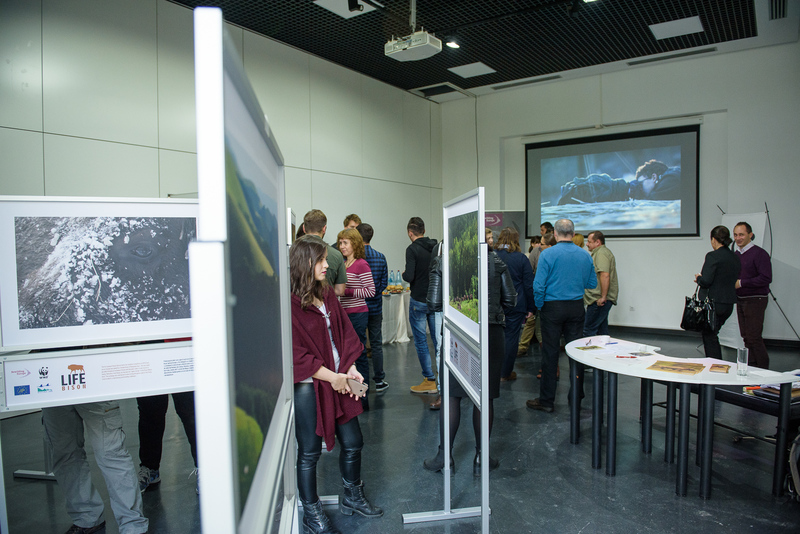 The launch event provided the occasion to open the exhibition “The largest land mammal in Europe returns to the Southern Carpathian wilderness” which tells the story of the comeback of the bison through images taken by professional photographers from Romania and abroad. 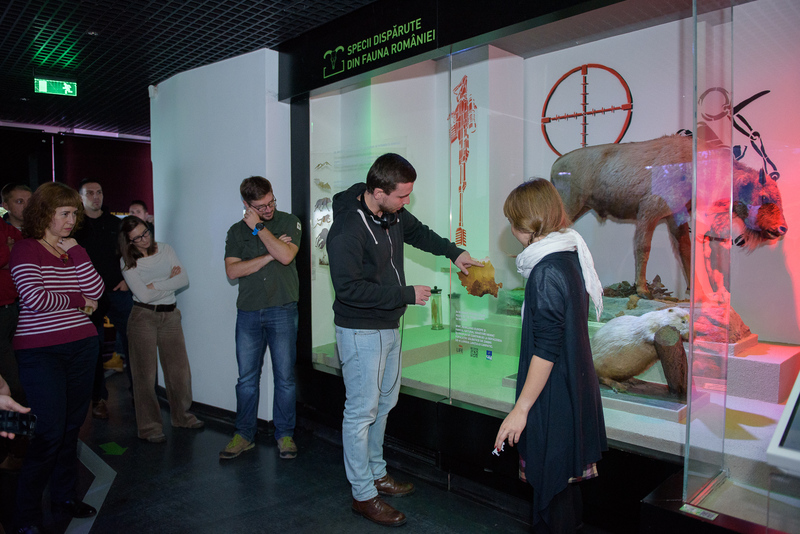 Exhibition “The largest land mammal in Europe returns to the Southern Carpathian wilderness”, part of the LIFE Bison project is open to public until end of November. 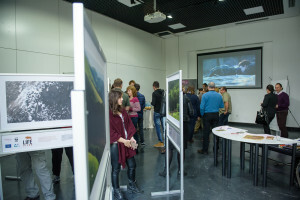 The exhibition is one of the communication actions of the LIFE Bison project. The exhibition will tour several locations throughout Romania. The “Grigore Antipa” Natural History Museum in Bucharest hosts the exhibition which is open to the public until 27th November. The exhibition is set close to the “Extinct species” section of the museum in which a bison is presented in form of an exhibit, however still described as extinct. The LIFE bison project and the rewilding initiative is not only about reintroducing the species. The bison serves as the central “piece” in a more holistic vision of making nature an engine for the development of this region and a source of wellbeing for the local communities. This can be made possible through investments in nature-based tourism, community development, education, ecological research, technological innovation and rewilding efforts to the benefit of both nature and people. Ecological research and monitoring is one of the priorities of the project. Various project actions are to measure the impact of the bison on the landscape and its biodiversity, and to better understand and mitigate challenges such as human-wildlife conflicts. The bison conservation work is complemented by a multi-disciplinary research project coordinated from a field research station located in the village of Fenes. Here, students, researchers and conservation practitioners are now coming to take up research work. 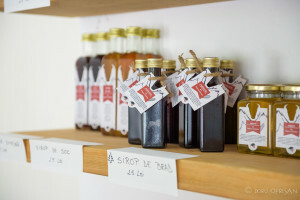 Local products with a special bison friendly label developed under LIFE Bison project. To support local development, the project encouraged the creation of a local association called AMZA (Bison Hillock Association Armeniș). This is the local partner in organising bison transports and releases, building relations with the local authorities, developing and providing nature tourism services and local products. The project has created four jobs so far: two young locals have become bison rangers and another two have started working at the second release area in Poiana Ruscă Mountains. Their role is key, as they patrol the rewilding area and monitor the movement of bison and other wildlife species, and guide visitors to the area. As iconic wildlife is coming back to the heart of the Carpathian Mountains, you can also come and experience this return with your own eyes, and contribute to rewilding through your travels. For more information about this opportunity see here .